The vintage 2005 is sweet and it exhibits a well balanced, firm and refreshing acidity. The grapes used to make the grape juice and Cognac are grown exclusively in our estate organic vineyards in the Grande Champagne region. The Pineau des Charentes 2005 was produced according to the traditional distillation, ageing and bottling methods. This vintage is 100% certified organic Pineau des Charentes and received an approval from Bureau Veritas Certification France SAS. 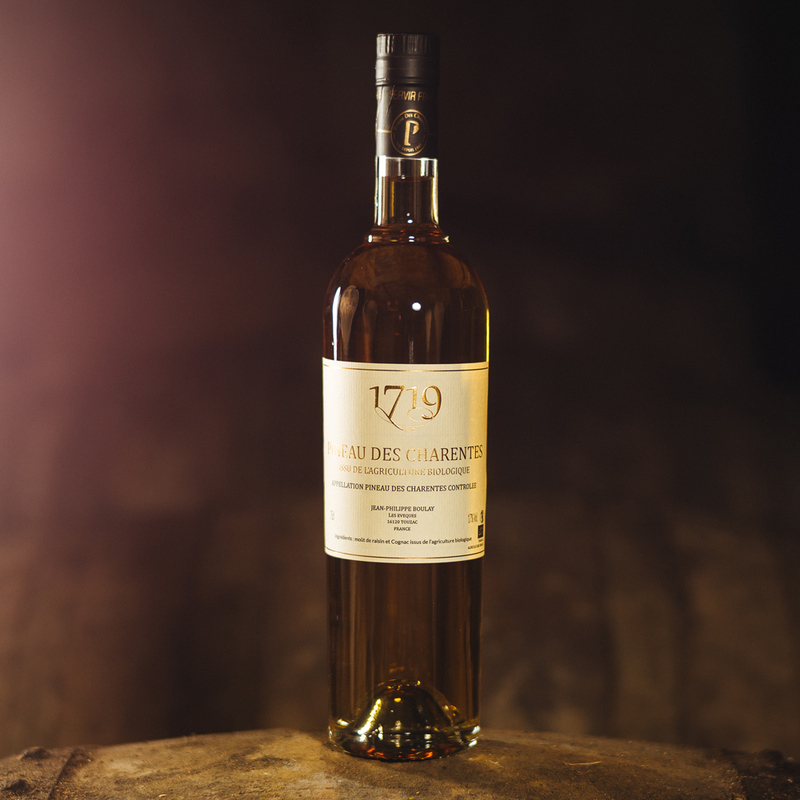 Our Pineau des Charentes is a classic French aperitif made from the subtle blend of fresh grape juice from Ugni Blanc and Cognac eau-de-vie aged for almost 10 years in oak casks. Alcohol abuse can seriously damage your health. Consume with moderation.